AN INTERESTING ONLINE DEBATE, or at least a noteworthy discussion, has arisen on the ‘Interwebs’ about what thanking a bus driver – or not – when alighting a bus says about the traveller’s character, it’s reported. The Ultimate Character Test encompasses one's propensity to thank their bus driver. While many would never have seen it as an issue - given the way we were brought up to always ensure a grateful acknowledgement to a bus driver or anyone that did something nice for us at least (simple manners) - it’s perhaps equally intriguing as it is disturbing that such courtesy is seen as something significant these days. As reported in The Guardian newspaper recently, perfectly summing up the online issue from a global perspective, it seems various ‘memes’ (the successful mash-up of select humorous words with disconcertingly appropriate images, so to speak) has gone viral in highlighting the issue. Entitled The ultimate character test: do you thank the bus driver? it says "A new meme hails ‘people who thank the bus driver’ as the best of humanity - even Russell Crowe approves. But does everyone agree?" It also discusses whether the weight of the implicit expectation to thank your bus driver varies by region. 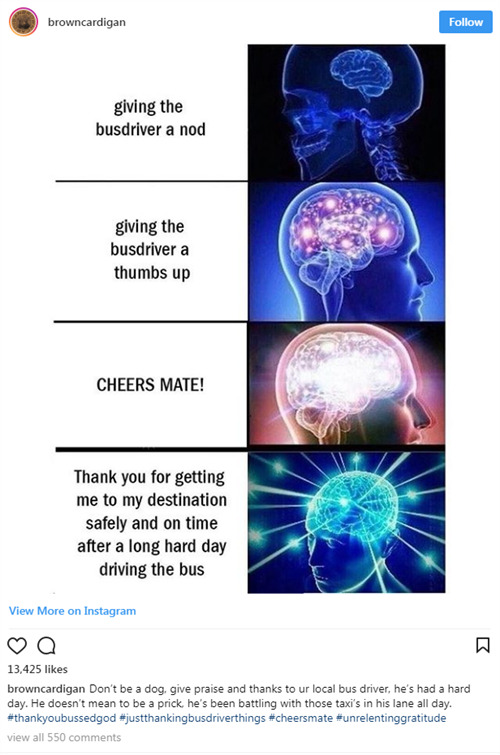 While the memes it refers to are tongue-in-cheek, it’s an interesting insight into modern interpretations of public transport etiquette and the value they put on the service that a bus driver delivers. Especially among Millennials. As reported, it seems there are some statistics to back up the breakdown of who says thanks and why. 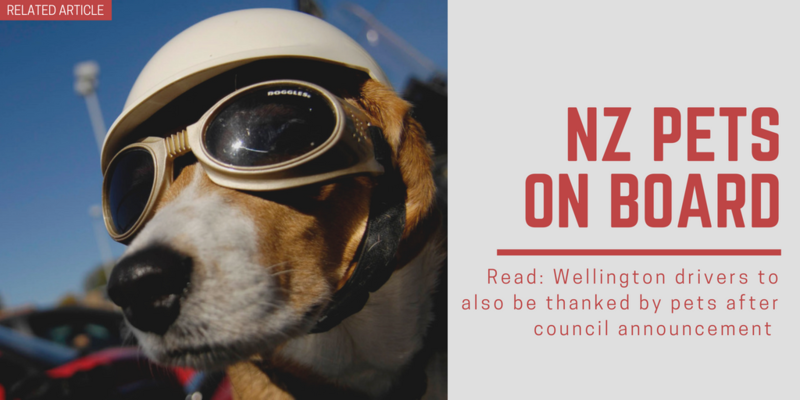 It says a BuzzFeed poll "had found that more than 15,300 people said they thanked the driver – 82 per cent of respondents – while just 8 per cent admitted to alighting in silence. Just over 1,000 (6 per cent) said they opted to "give the driver the nod", while 4 per cent claimed – one would assume, falsely – to say: "Thanks for getting me to my stop while working under such brutal conditions." The issue’s attracted the online attention of Hollywood heavy-hitter and mad-keen tweeter Russell Crowe himself, who responded to Aussie musician Roy Molloy’s tweet that he had "never been so serious in [his] entire life" as he was about the importance of thanking the bus driver. Stated Crowe: "Always thank the bus driver. It’s simple common courtesy. I stand with Roy on this." On the other side of the spectrum, a minority were unapologetically ungrateful. One woman wrote: "I don’t talk to strangers so I don’t thank my bus driver." Hmmm... Sounds like something most bus drivers shouldn’t take personally.